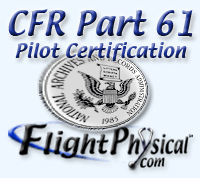 § 61.4 Qualification and approval of flight simulators and flight training devices. (3) The representation of the specific category and class of aircraft, type of aircraft, particular variation within the type of aircraft, or set of aircraft for certain flight training devices. (b) Any device used for flight training, testing, or checking that has been determined to be acceptable to or approved by the Administrator prior to August 1, 1996, which can be shown to function as originally designed, is considered to be a flight training device, provided it is used for the same purposes for which it was originally accepted or approved and only to the extent of such acceptance or approval. (c) The Administrator may approve a device other than a flight simulator or flight training device for specific purposes.